Chakra is a term everyone has heard before. It is something that comes to mind every time we think of meditation or spiritual healing. Human body harbours 7 chakras, located along the spine. Each chakra corresponds to a specific organ or body part as well as emotional pattern. Just like healthy nerve flow to organs is important for organs and body parts, to work properly, same happens to clear energy flow going to corresponding organs and body parts. It is of vast importance for a healthy and balanced body and mind. Human body is divided in two sections based on chakra functionality features. The upper body chakras hold mental and spiritual faculties, there are 4 chakras laid out through upper body from top of the head to mid spine. Lower body chakras hold instinctual faculties, there are 3 chakras in lower body, from mid spine to end of the spine at the bottom of the torso. Chakras are like energy batteries charging body with energy from the universe. 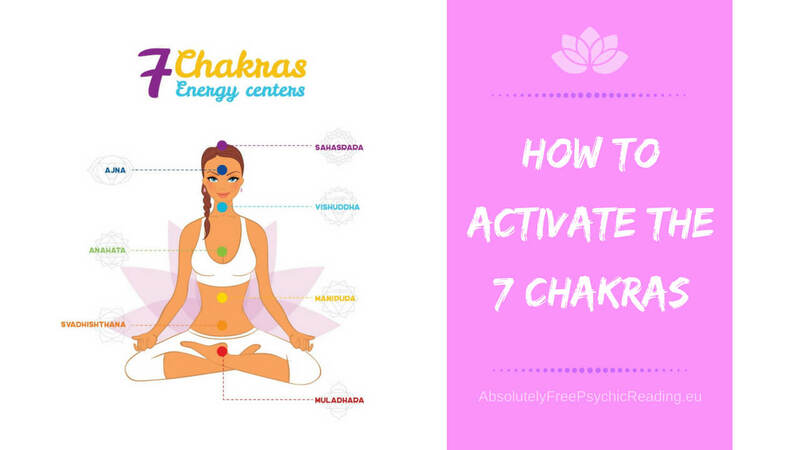 And for the energy to charge the body successfully, chakras need to remain opened, any potential blocking of them, will have consequences. Only one of them out of alignment will cause an imbalance in the body which will quite quickly show result in dis ease in physical body as well as emotional balance. As we said each chakra corresponds to its own organ and body part as well as emotional pattern. The Root Chakra or the base chakra is located at the bottom of the spine, being the closes to earth also means the energy is responsible to connect to earthy energy, to ground self and harvest the energy of primal instincts and courage to be able to survive and protect self from surrounding influences. I guess we could say its energy is one of survival and feeling secure. The root chakra vibrates red, which means it also responds to red sources from outer influences when it needs to be mended or nurtured. Using red gemstones or red clothes can sooth the emotional imbalance deriving from the root chakra. When root chakra is blocked, we most likely will be experiencing issues such as constipation, lower back pain, fear, even paranoia, over all we would feel defenceless. Blockage of this chakra would also most likely result in unexplained weight gain or obesity. Organs and body parts affected by the reduced flow of this chakra will be evident in bones, adrenal glands, feet, legs and large intestines. Yoga positions beneficial for Root Chakra; Bridge Pose, Mountain Pose, and Warrior 1 Pose. The Sacral Chakra is located around the pelvic area, about 2 fingers below the belly button. Unlike the Root Chakra, that is focused on survival and feeling secure, this chakra is focused on pleasure and enjoyment. If this chakra is opened feelings of passion sensuality, pleasure and intimacy are in balance. We are also creative to our own characteristic abilities. The sacral chakra vibrates orange, which means at low vibration and flow in this chakra we will be drawn to orangey colour surrounding us. Again meaning using orange colour gemstones or items to connect to will soothe the unbalanced emotion due to reduced flow through sacral chakra. When sacral chakra is blocked, we will experience emotional problems connected to the area, so sexual or intimacy guilt, bodily issues would arise such as urinary tract infections, and reproductive organs complications. Organs and body parts affected by the reduced flow of this chakra will be evident in reproductive organs, kidneys, bladder, lower abdomen, and circulatory system. Yoga positions beneficial for Sacral Chakra; The Sun Salutation. The Solar Plexus Chakra is located between the solar plexus and the navel. This is the chakra of willpower and self-confidence. Being at the centre of the body it is an important point of flow between bottom and top. The solar plexus chakra vibrates yellow, which means when flow is compromised we are drawn to yellow colour to replenish. Feeling under the weather, tired and exhausted will be the cause of this chakra many times. Using certain gemstones corresponding to this chakra will help the low energy feeling. When solar plexus chakra is blocked, we will experience emotional frustration, lack of direction, nervousness and exhaustion, but also dis ease resulting in diabetes, liver problems and stomach issues. Organs and body parts that will most likely be affected are digestive system, muscles, liver problems. Yoga positions beneficial for Sacral Chakra; The Boat Pose and Lion's Pose. The Heart Chakra is located in the Heart, as the name suggests in itself. This is the chakra of unconditional loving connection. If this chakra is opened the emotions of love, joy, compassion and warmth are pouring naturally. This is the centre of our bonds with other beings, and also where we learn to respect not only others but ourselves in the first place. The heart chakra vibrates green. This chakra is most likely to be the hardest to open fully, since it is also very sensitive in nature, and the influences of the surroundings being harsh at times, can do much damage. It is a very general form of maintaining flow, but green coloured gemstones are very beneficial to maintaining the flow and establishing the balance. When heart chakra is blocked, we will experience a lack of compassion and coldness, inability to connect to people, including loved ones, the emotional connections become exhausting and draining. Organs and body parts affected by this block will occur on lungs, heart, thymus glands and arms. It will also result in immune deficiency and high blood pressure. Yoga positions beneficial for Heart Chakra; The Camel Pose and Cobra Pose. The Throat Chakra is located in the throat. This is the chakra of communication and self-expression. The main challenge of this chakra is self-doubt and negative thinking. The throat chakra vibrates blue/turquoise. If this chakra is blocked it is the blue or turquoise gemstones or items of same colours from the surroundings that will sooth the effect of the lack of flow through the chakra. When throat chakra is blocked we will experience dishonesty and trouble in communication with others. Organs and body parts affected by this blockage will show on arms, shoulders, hands, neck, thyroid glands, and parathyroid glands. Dis ease the blockage might cause will result in ear infections, metabolism issues, and thyroid problems. Yoga positions beneficial for Throat Chakra; The Plow Pose and the Fish Pose. The Third Eye Chakra is located at the centre of the forehead. This is the chakra of seeing beyond the physical aspect of the world, that includes the phrase “seeing through people’s mask”. It is the basis of wisdom and intuition, and is the experience of contemplation and self-reflection. Its biggest challenge is to clear thoughts. The third eye chakra vibrates in indigo colour. If this chakra is blocked indigo coloured items from the surroundings will be attractive to us. When third eye chakra is blocked we will experience depression, mental rigidity, and lack of foresight. Organs and body parts corresponding to this chakra are eyes and temple area. Dis ease from energy blockage in this chakra will result in headaches, nausea and dizziness, think light headache to migraine, it will also show as eye problems. Yoga positions beneficial for Third Eye Chakra to awaken your intuition are; The Thunderbolt Pose and the Downward Facing Dog Pose. The Crown Chakra is the seventh and last chakra, it is located on top of the head. this is the chakra of universal connection. It is the centre of being one with everyone and everything in nature, and promotes information, understanding, and acceptance. The crown chakra vibrates violet, and if this chakra is blocked we will be drawn to violet items in our surroundings. For this chakra purple colour gemstones are beneficial, as they amplify connection to our energy source. When crown chakra is blocked we will experience many different symptoms amnesia being one of them. This chakra corresponds with the most important body part, at that being central nervous system and cerebral cortex. It also affects pituitary gland. Some other dis ease affects of this chakra will include migraines, mental problems, even skin disorders. Yoga positions beneficial for Crown Chakra; The Corpse Pose. Ask Psychic to open your chakras! The use of meditation and yoga exercises are the most commonly used methods of opening up the flow of energy to the chakras. If your preferred method for opening chakras is meditation, doing so for at least 10 minutes a day is most definitely very beneficial to your body and mind. If you are not the type of person, whom routine of meditation every day comes easy, you can also resort to the use of crystals and incense, to increase the mood to more louring and inspiring. Create the space for your meditation sessions, decorate it with your crystals and incense, and then focus and breathe. Place yourself in sitting lotus position, close your eyes, and focus on whichever chakra needs opening. Visualize the colour of your chakra, and imagine it opening up. Try doing it at least 10 minutes. Hematite (brings balance and grounding), Smoky Quartz (brings balance and dissolves negativity), Black Obsidian, Black Tourmaline, Garnet, and Red Zincite. If you are using incense, the scents of Geranium and Patchouli. Carnelian (counteract feelings of fear, rage, and apathy), Orange Calcite (improve energy), Blue-Green Turquoise and Blue-Green Flourite (brings the system into balance) and if using incense, the scents of orange and peppermint focus on this chakra. The usage of jasmine and sandalwood act as aphrodisiacs. Citrine (reduces negative energy), Yellow Jasper (brings awareness and insight), Golden Calcite (increased energy), and the scents for improved concentration are chamomile, lemon, and eucalyptus. Rose Quartz (empowers you and attracts love), Jade (harmony and peace), and Pink Tourmaline (for inspiration and understanding). The scents for this chakra are of rose, lavender, and ylang ylang. Sodalite (truthfulness, logic), Blue Turquoise (spirituality), Blue Kyanite (psychic awareness and communication). Tea tree oil, eucalyptus, and chamomile are the scents associated with opening up this chakra. Lapis Lazuli (creative expression and knowledge), and Azurite (insight, intuition, psychic ability). The scents are juniper, rosemary, and pine. Amethyst (peace, energy, strength), and White Topaz (success, creativity, and individuality). The scents for this chakra are lavender and frankincense. To live life to the fullest, understanding the chakras and purpose each ones serves is essential. This helps to avoid many diseases and psychological problems, and live as healthy and balanced as we possibly can. You can always Join Free Psychic Chat and ask psychic for opening up the flow of energy to the chakras.